Information about some of the machines serving Perl developers around the world. To suggest updates check out the source. This page is (going to be) a collection of information about the hardware and software serving people who are using Perl. Who maintains them? Who and how should be contacted in case the service is malfunctioning? What software does the machine run to provide the service? Who pays the bills? Is there a sponsor? Someone pays from her/his own pocket? metacpan.org, the Open Source search engine of CPAN. It has several sub-projects hosted in the CPAN-API GitHub organization. metacpan-web is the front-end written using Catalyst, and cpan-api is the back-end. Servers and hosting, donated by Bytemark and Liquid Web. For details see the list of servers. Everything is deployed via Puppet. Source code is in GitHub. perlmonks.org is based on a version of Everything. According to this node a different version of Everything (Everything2) is now open source, but there are some PerlMonks specific things that are not open source. 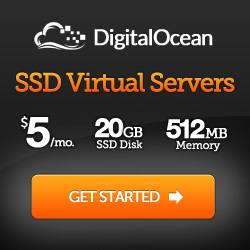 The website is hosted via three webservers in DNS rotation, with a MySQL backend. The webservers are provided by pair.com. The domains are provided by TPF and managed by noc.perl.org. A couple of GitHub repos. perldancer.org, the web framework. The source code of its own web site is in the perldancer-website repository. advent.perldancer.org is itself based on Dancer. Its source code is in the advent-calendar repository. Both sites run on the server of David Precious. use.perl.org old blog server of the Perl community. It is now static. pause.perl.org The Perl Authors Upload Server, the thing that feeds CPAN, has its source code on GitHub. rt.cpan.org, the default bug-tracking system of every CPAN distribution runs RT. Source code can be found here. www.annocpan.org AnnoCPAN is a service to easily annotate the documentation of CPAN modules. doc.perl6.org, the Perl 6 documentation site consists of static pages generated from this repository. modules.perl6.org the list of available Perl 6 modules. Static pages generated by this code. testers.perl6.org the CPAN Testers from Perl 6. This is a dynamic site. The source code is in this repository. All perl6.org pages are served from the Perl 6 community server, funded by community donations, and run by several volunteers. irclog.perlgeek.de logs IRC channels. It uses ilbot. Source code is here. Maintained by Christian Walde (Mithaldu) and Tina Müller (Tinita). Information about the system can be found in their about page. blogs.perl.org, the shared blog site of the Perl community runs on the Professional Edition of Movable Type which is not open source. Though it might be the open source version with a few extra (proprietary) extensions. Nevertheless the templates of the site are available here. There is also a version of Movable Type on GitHub, but it is unclear to me what is the license of that, and what is the relation of that to the one used on blogs.perl.org. The site runs on a dedicated server at Hetzner. It is an Intel i7 with four cores (plus hyper-threading), 8 GB of RAM, and software RAID. It's currently running Ubuntu. The server is maintained by Dave Cross and Aaron Crane. They also cover the expenses. The CPANdeps project run by David Cantrell, has its source code in GitHub. It is on a dedicated server provided for free by UK2.net. It has 4GB RAM, 0.5TB disk, and some species of dual-core processor. It runs Debian Linux, MySQL, Apache and perl. The cpXXXan.barnyard.co.uk site run by David Cantrell, has its source code in GitHub cpXXXan is similar to CPANdeps and also provided for free by UK2.net. The hardware is identical apart from only 2GB of memory. It uses the same software. Slaven Rezic runs matrix.cpantesters.org on a small one-CPU VM. Actually this VM is dedicated to another service of Slaven and the matrix is just a guest there. The alternative version of the matrix (the "log.txt" view) runs on another machine setup by Barbie and sponsored by Webfusion (see the banner on that page). A possible task for the QA hackathon would be to move the regular matrix also to this machine, as it is bigger and dedicated to perl QA stuff (IIRC a physical machine with eight CPUs). The matrix is an old-fashioned CGI running in an old-fashioned Apache server. It's also possible to run it as a PSGI application, but currently there's no pressing need to do so. The software is at GitHub. David Cantrell: My testing is done in a Linux VM running on a dedicated server that I rent. It nominally has 8GB RAM and 4 CPUs. The underlying hardware has 32GB and 8 CPUs. Virtualisation is done with Xen. Unfortunately I no longer test on any other OSes. Slaven Rezic: I maintain four regular smokers (two FreeBSD + two Linux, with several perl versions ranging from 5.8.9 to 5.21.10), all running in VMs. Three of them are located on my personal workstation and one is running on a server of another Berlin perl monger. Typically the machines are running 24/7 except when I am on vacation. In these periods the "specialties" of my smokers (that is: provide first reports very quickly after PAUSE upload, and provide reports for a rather rare platform, FreeBSD) have to be done by other people (in this case, by Andreas Koenig and Chris Williams). The smokers are based on CPAN.pm and CPAN::Reporter, but I don't use CPAN::Reporter::Smoker. Instead I have a couple of wrapper scripts (cpan_smoke_modules_wrapper3, cpan_smoke_modules) which may be found on GitHub. There's no real documentation for these, primarily because I doubt that my workflow is appealing to other people. See also the CPAN OpenBSD Smoker and the Docker Metabase Relayd. Both by Alceu Rodrigues de Freitas Junior. cpants.cpanauthors.org check various kwalitee metrics about CPAN modules. The service is maintained by Kenichi Ishigaki (charsbar). The source code of the web-site is in GitHub. changes.cpanhq.org maintained by Brian Cassidy Source code in GitHub. Most Perl conferences (YAPCs, Workshops etc) run on Act - A Conference Toolkit. Its source code is in the Act repository. The server is run by the The French Perl Mongueurs: Sébastien Aperghis-Tramoni (maddingue), Philippe Bruhat (BooK), and Éric Cholet. In case the service is not available you can ask for help on the #act channel on irc.perl.org. Specifically you might want to ping maddingue there. yapc.eu and www.yapceurope.org are the home page(s) of the YAPC::Europe Foundation. They are also used as the domain for the YAPC::EU events while the actual sites of the events are hosted on the central ACT server. Philippe Bruhat (BooK): The /$year/ URLs are pointing either to the corresponding Act website, or a static archive of the site. The static data is stored here: https://github.com/yapceurope/yapc-eu-archives (the only missing site is the one for Belfast 2004, but I have it on my todo-list to grab the data from archive.org and eventually add it there). Every act.yapc.eu URL actually points to Act. The webserver has a complex config canonicalizing URLs back and forth. Some of it handled by Act. For example, http://perlworkshop.nl/ and http://act.yapc.eu/nlpw2015 will redirect to http://www.perlworkshop.nl/nlpw2015/. The actual website is generated by a 15 years old script running ttree. yapcna.org the domain for YAPC::NA. The actual sites are based on ACT and are hosted on the central ACT server. yapc.org Is a nice-looking, but outdated site linking to other YAPCs and Perl Workshops. yapcrussia.org redirects to the ACT instance used to manage YAPC::Russia events. www.perlworkshop.nl NLPW - Dutch Perl Workshop. Daisuke Maki (lestrrat): yapcasia.org hosts (or at least redirects to) all of the past YAPC::Asia Tokyo's that have been held, dating back to 2006. Up to 2009. The system behind was ACT, so the actual site lived with other YAPCs that it hosts. Since 2010, YAPC::Asia Tokyo's site's static content has been built using MovableType, and the dynamic content including user registration, payment (only for 2010 and 2011), talk submission and listing have been built using either bare PSGI servers that does the minimum job or a simple Mojolicious based application. Payments are handled by Peatix, Inc since 2012 -- until then we used to use a handmade QR-code solution. There's absolutely no fancy engineering behind them because we did not intend to put resources in the engineering side of the conference. A single nginx server handles all the frontend marshaling. The infrastructure is hosted under Sakura VPS. Daisuke Maki (lestrrat): perlassociation.org the site of Japan Perl Association, doesn't have much content in it, so it's built with a simple Mojolicious application and nginx, running on a VPS at CPI (http://www.cpi.ad.jp/scalable/). Most of what we do under the perlassociation.org domain is actual shuffling documents and so forth, so we use Google Apps to to handle this. mojolicio.us, the web framework. The source code of its own web site is in the mojolicio.us repository. 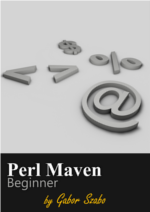 perl6maven.com runs on Baildor, a partially implemented Perl Dancer clone in Perl 6. Its source code is available on GitHub. It is hosted on Linode instance with 2Gb memory 2 CPUs, along with a few other sites of Gabor Szabo. Especially note the docs repository that has a list of domain names important to the Perl world and a list of web-sites belonging to The Perl Foundation. perl.meetup.com run by the Meetup company. Perl on Reddit and Perl 6 on Reddit. Can be useful to share links, ask Perl-related questions, or ask around why one of the other services does not work.